The Supreme Court on Thursday revived the government's case in National Consumer Disputes Redressal Commission (NCDRC) against Nestle India seeking damages of Rs 640 crore on charges of unfair trade practices, false labelling and misleading advertisements. A bench headed by Justice D Y Chandrachud said the report from CFTRI (Central Food Technological Research Institute, Mysuru), where the testing of the Maggi noodle samples was conducted, will form the basis for the proceedings. The top court had earlier stayed the proceedings before the NCDRC after Nestle had challenged it. The Consumer Affairs Ministry had in 2015 filed a complaint against Nestle India before the NCDRC using a provision for the first time in the nearly three-decade-old Consumer Protection Act. It had filed a complaint against Nestle for causing harm to Indian consumers by allegedly indulging in unfair trade practices and false labelling related to the Maggi noodles product. It was for the first time that the government had taken action under Section 12-1-D of the Consumer Protection Act, under which both the Centre and states have powers to file complaints. In the petition filed before the NCDRC, the ministry had charged that Nestle India has mislead consumers claiming that its Maggi noodle was healthy -- "Taste bhi healthy bhi". Nestle had to withdraw its instant noodles brand Maggi from the market over allegations of high lead content and presence of MSG (monosodium glutamate). 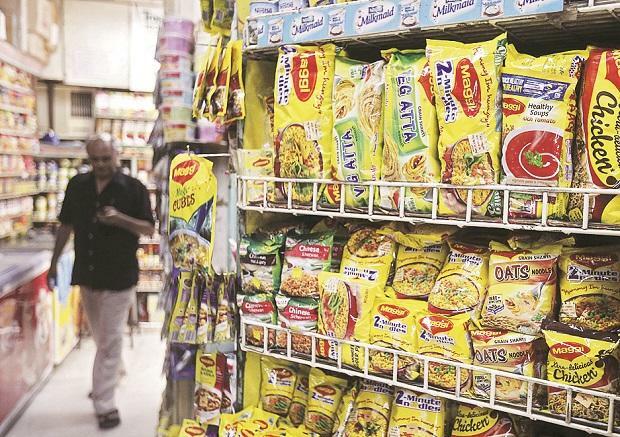 The food safety regulator FSSAI had banned Maggi noodles after it found excess level of lead in samples, terming it as "unsafe and hazardous" for human consumption. FSSAI had also said Nestle violated labelling regulations on taste enhancer 'MSG' and ordered the company to submit a compliance report on its orders.